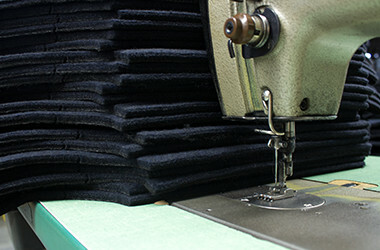 Since 1959 Brand Felt has specialized in diverse methods of converting, becoming an industry leader in North America in felt converting capabilities featuring die cutting, kiss cutting, roll slitting, adhesive coating, CNC cutting allowing us to have rapid prototyping and emergency service with quick turnaround. 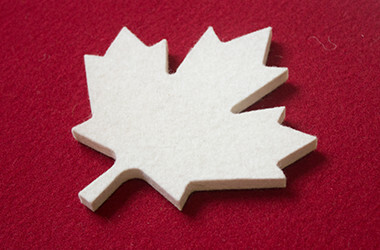 Brand Felt offers a large range of die cutting methods. 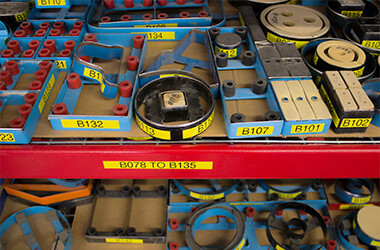 Our cutting edge facilities includes: Rotary Presses, Beam presses, Steel rule die cutting machines, Clickers as well as many other customized die cutting equipment. 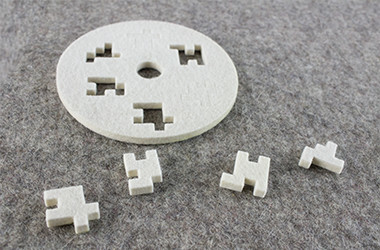 Brand Felt can also provide customers with die cutting through material while leaving the paper backing intact, this process is called KISS CUT. Our modern facilities are equipped with high capacity output machinery to provide our customers with low prices and fast turnarounds. 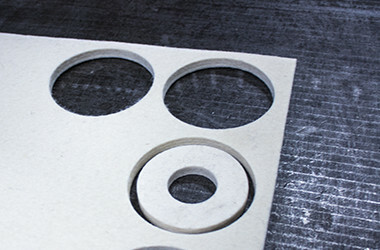 Do you need rolls cut into small narrow strips? 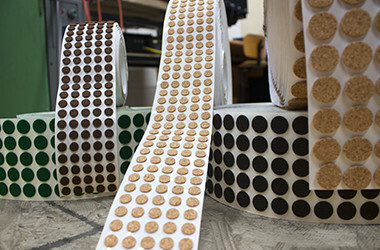 Not a problem, Brand Felt has computerized roll slitting machines that can slit material to 4.76mm (3/16”). 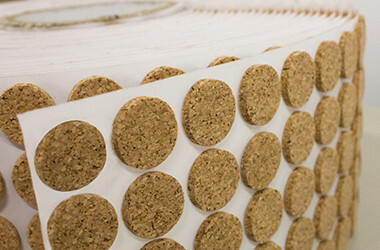 Our pressure sensitive coating line or self adhesive backing can be applied to most of our products from practically any type of felt to foam, cork, rubber or neoprene. 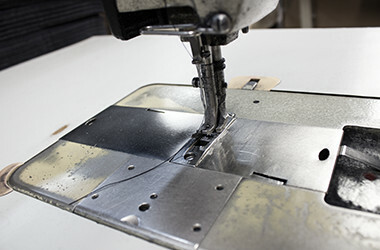 With a CNC cutting surface of 2,000mm x 3,000mm (87”x 118”) and CNC knife that can cut up to 76.2mm (3”) of thickness. Brand Felt’s CAD/CAM Office with 3D capabilities and digitizer allows to convert your sketch to a 2D or 3D drawing.